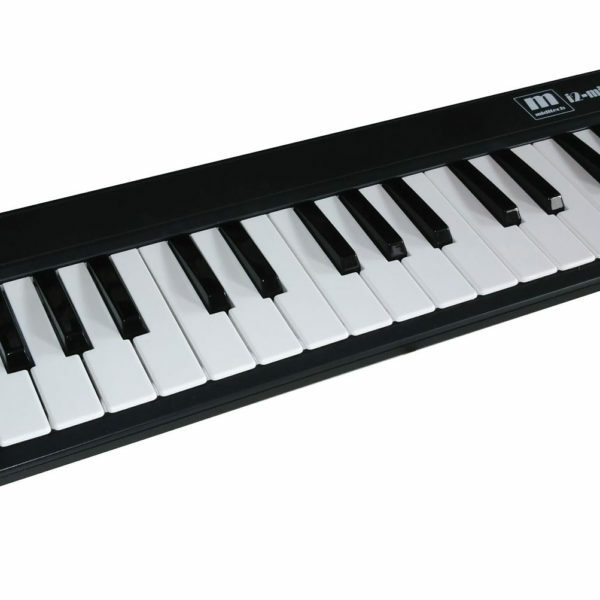 The I2-Mini 32 BT masterkeyboard is a very compact USB masterkeyboard for all musicians, who are looking for a very compact small masterkeyboard which is small enough to take it with you in your hand luggage. Also with its Bluetooth function you do not need any cables to work with Apples iOS. Of course you can work with USB MIDI, and with a DIN MIDI adaptor you can connect all your standard MIDI equipment. 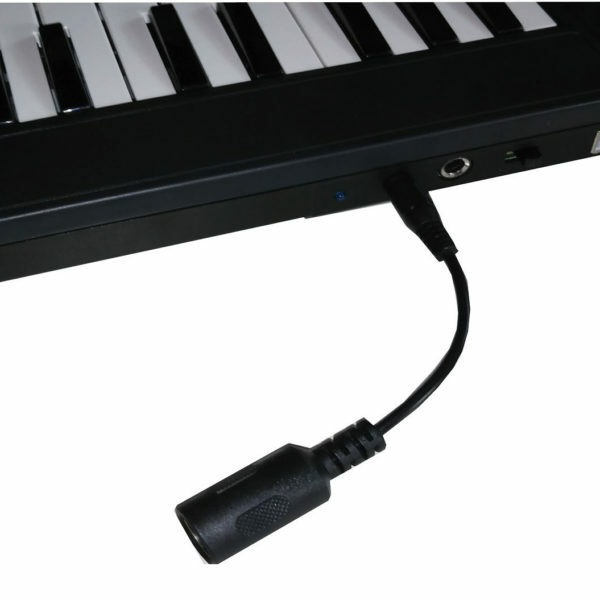 The DIN MIDI adaptor comes with the i2-mini 32 BT keyboard. 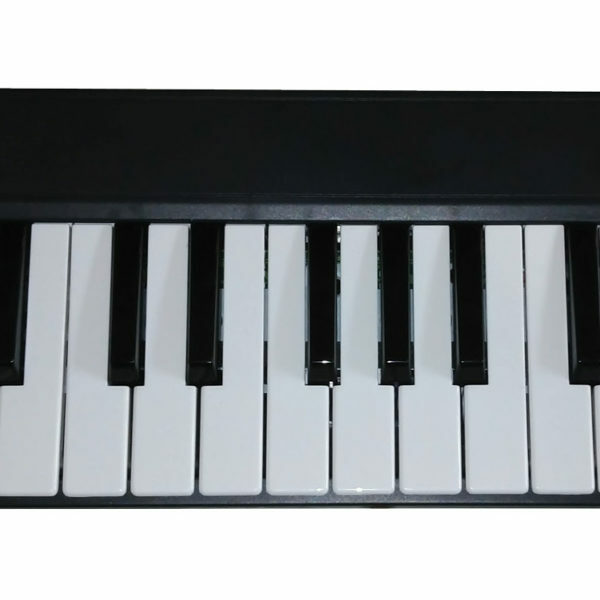 You will find beside the 32 dynamic minikeys the most important functions in direct access: Octave +/- buttons, Transpose +/- buttons, Volume slider, Pitch Bend and Modulation Wheel are provided with the Miditech I2-Mini 32. Dimensions: 46 cm x 13 cm x 5 cm, incl. USB cable, weight 800 g.